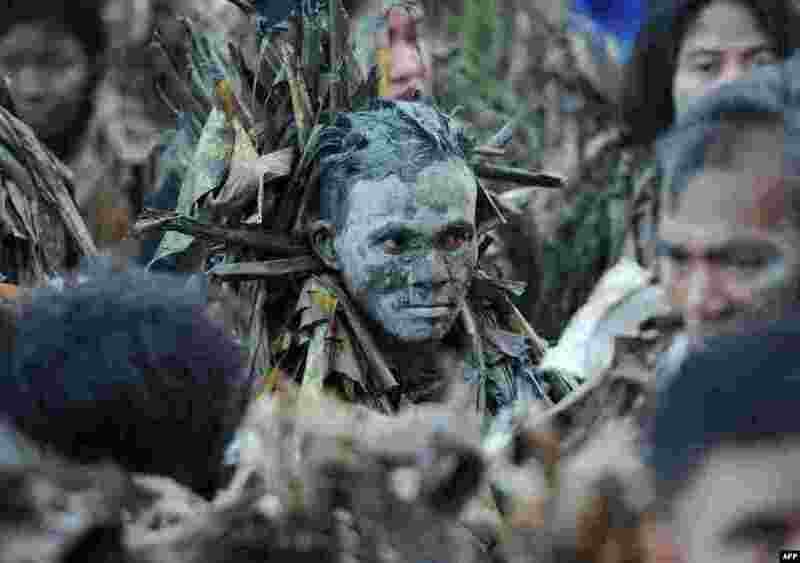 5 "Mud people" wearing banana leaves attend mass as part of religious festivals in honor of St. John the Baptist, in Aliaga, north of Manila, Philippines. 6 Serena Williams of the U.S. slips during her women's singles tennis match against Anna Tatishvili of the U.S. at the Wimbledon Tennis Championships, in London. 7 Crowd cheer on a rider during the traditional Fiesta of San Joan (Saint John) on the Spanish Balearic Island of Menorca, June 23, 2014. 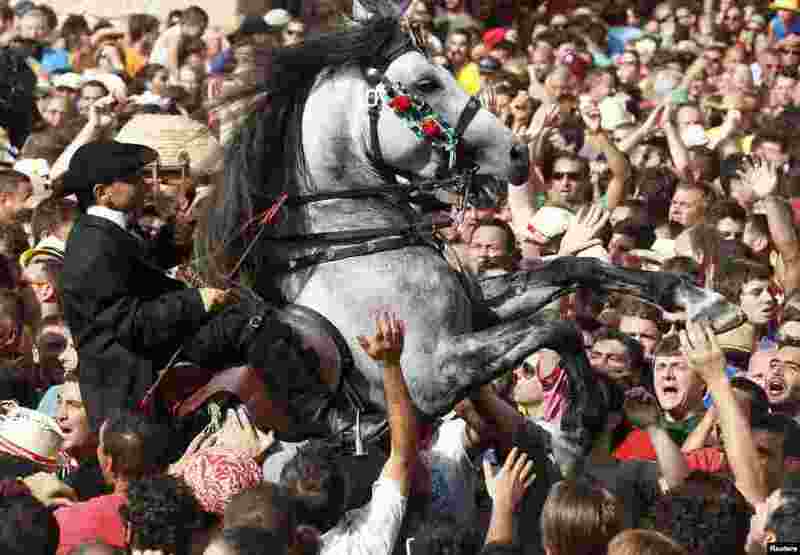 The riders of the horses are representatives of ancient Ciutadella society - nobility, clergy, craftsmen and farmers. 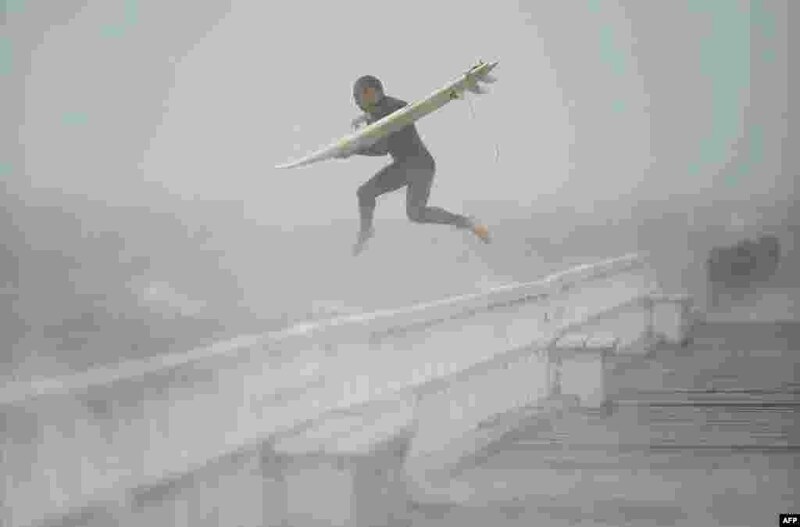 8 A surfer jumps into Port Phillip Bay to take advantage of the waves in Melbourne, Australia.